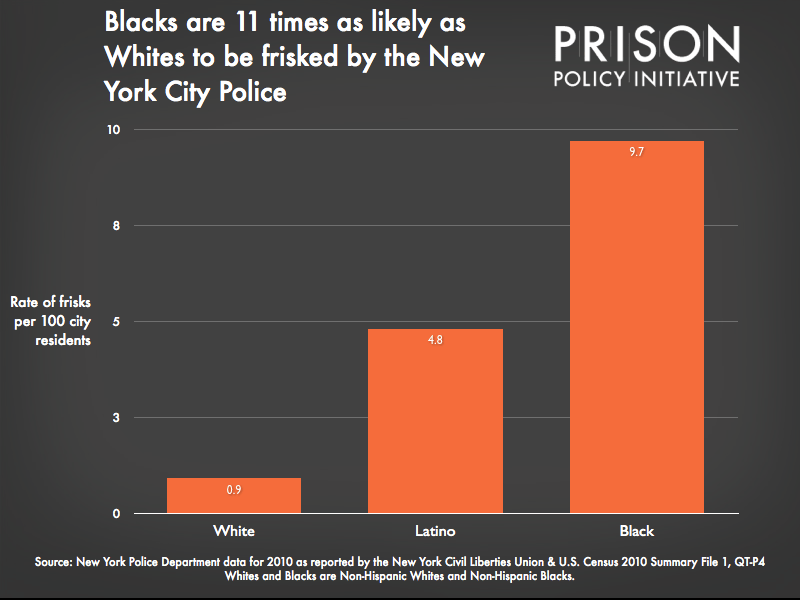 A lot of the news coverage has been less than effective in explaining the racial disproportionality in New York City’s stop and frisk. 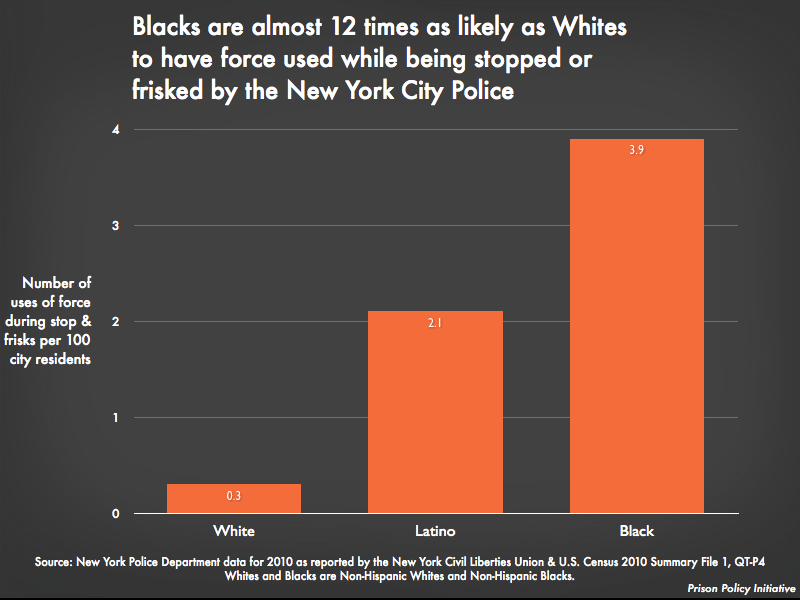 For example, Blacks are 52% of stops, but 23% of the population. Latinos are 31% of stops, but 29% of the population. 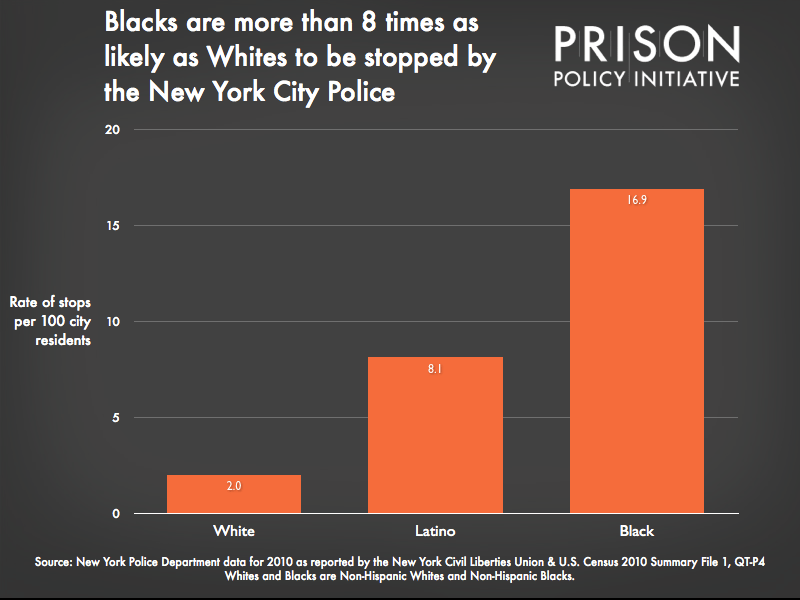 Whites are 9% of the stops and 33% of the population. The eyes of 90% of the readers of this paragraph have glazed over and I suspect that 100% of the people reading aren’t quite sure exactly what the significance is. The disparity in the use of force isn’t warranted by differential rates of offending, as we found that Latinos and Blacks were more likely than Whites to experience the use of force without being arrested. 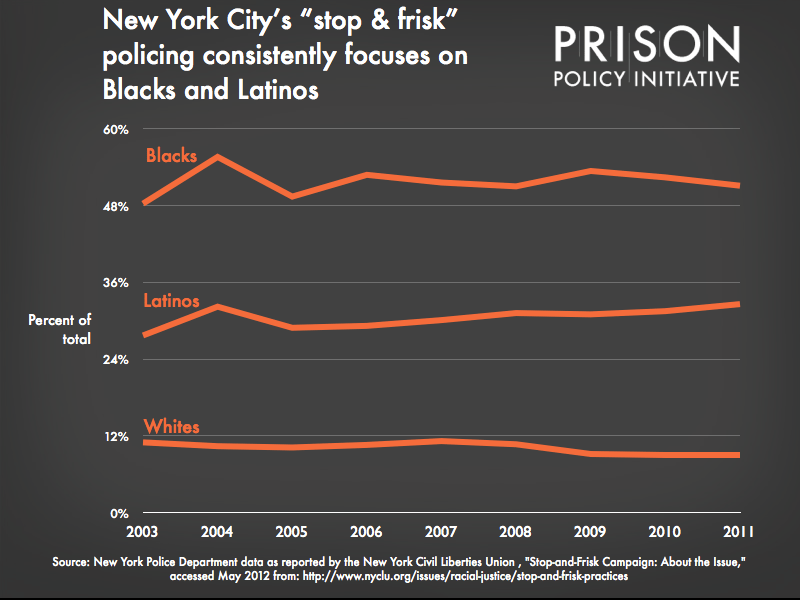 The different experiences of Blacks, Latinos and Whites with stop and frisk are no doubt part of why ending stop and frisk is a priority for Black and Latino voters, but not for politicians who want White support. I have no doubt that good police work can find illegal guns. 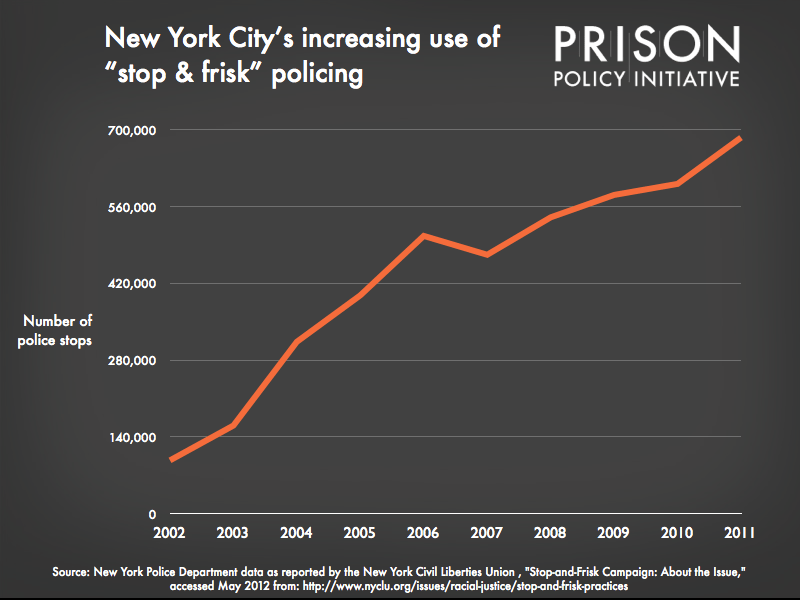 Wholesale “stop and frisk,” though undermines Black and Latino trust in the police without improving public safety. That’s a poor investment in police resources. Mayor Bloomberg is famous for his big-business style fixation on data and on seeing a high return on investment. 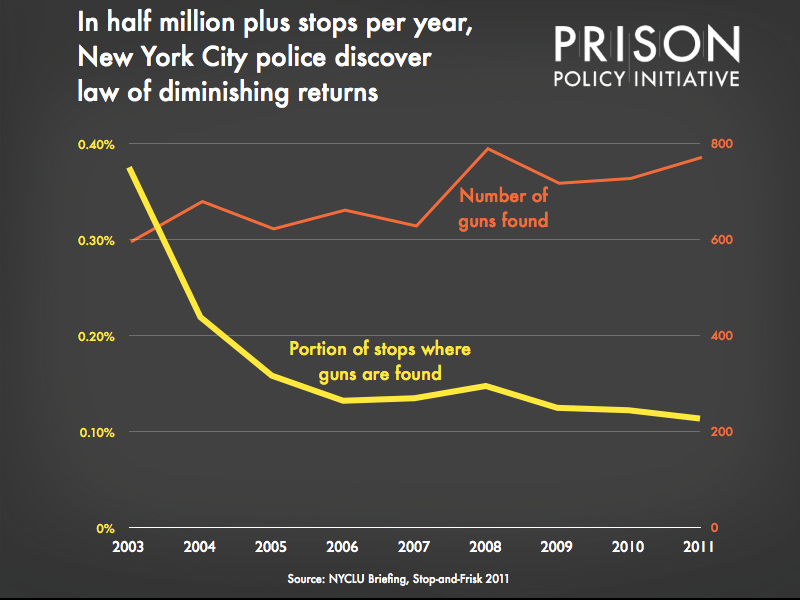 Yet, for some reason, he has been reluctant to hold policing strategies up to that same cost vs. results standard. Will his successors be any different? The author is Executive Director of the Prison Policy Initiative. This article is one in a series of short articles exploring under-discussed facts about the criminal justice system. Did you try analyzing by age or location? how about comparing to the race of those convicted of a crime?